Akira Kurosawa is arguably one of the greatest film directors of the last century. He inspired Sergio Leone, George Lucas and Stephen Spielberg. His seminal film, The Seven Samurai, was re-made as The Magnificent Seven. His career began in pre-war Japan and his films often critique the society reflected through his lens. He created three powerful adaptations of Shakespeare plays which were greatly influenced by Japanese Noh Theatre. His films with the actor Toshiro Mifune depict one of the great movie partnerships. In this session we will look at Drunken Angel, Rashomon and Throne of Blood (based on Macbeth) as well as some fascinating documentary material in order to gain an appreciation of the life and work of this incredible film maker. The recent revival of the Western has demonstrated its adaptability and longevity. Once the cheap and cheerful programme filler the Western developed into one of the strongest and most durable of Hollywood genres. This session will focus on how the Western continues to reflect the age in which it was produced, with reference to the Golden Age of the Western, through Spaghetti and Vietnam Westerns to recent interpretations by Eastwood and The Coen Brothers. 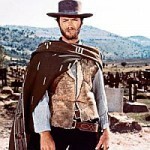 Key films will be: The Searchers, Shane, The Good, The Bad and The Ugly, Pale Rider, Unforgiven and True Grit, though a range of films will be discussed. This day course will provide an overview of the silent film era, particularly the socio-historical context and consider the impact of “talkies” by looking at films such as Blackmail, Modern Times and Singin’ in the Rain. We will also see how the “language” of film was established very early on in film history by pioneering film-makers. The day will focus in particular on the excellence of British silent film directors such as Alfred Hitchcock and Cecil Hepworth and will conclude by examining the lasting influence of Soviet and German film-makers and their impact on films as diverse as Bladerunner (1982), Tom Jones (1963), Psycho (1960) and Le Quattro Volte (2011). Road movies provide a fascinating reflection of the social and economic changes which Americans experienced in the last century and highlight their volatile relationship with the land. This session will explore these ideas and discuss how road movies can be defined and whether they can exist outside America. Films in focus will include Grapes of Wrath (1940), Easy Rider (1969), Paris,Texas (1984), The Straight Story (1999) and Last Orders (2001). A feminist re-make of Butch Cassidy and the Sundance Kid, Ridley Scott’s 1991 film was hugely controversial when it was released. This female buddy road movie has become a classic over the years and in this session we will explore Thelma and Louise’s transformative journey and see how it critiques the macho society they travel through. Is Wizard of Oz road movie? What does it say about the American Dream? Why does Dorothy wear red shoes? Who does the Wizard represent? Why does Dorothy want to go home? What were the Munchkins really like? This session will endeavour to answer all these questions and more in an exploration of the social, political and historical context of The Wizard of Oz (1939), the fascinating stories behind the making of the film and how it has influenced countless film-makers over the years including the Coen brothers and David Lynch. In times of trouble, the Hollywood musical has always had a simple solution: “Let’s face the music and dance!” So is the genre silly and shallow or is something deeper going on? 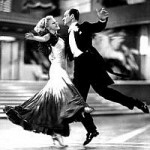 From Al Jolson proclaiming that “You ain’t heard nothin’ yet!” to Astaire and Rogers dancing cheek to cheek, and Gene Kelly singing in the rain, this session will scrutinise and celebrate the stars, styles, themes and routines of cinema’s most sophisticated, yet playful, form of entertainment. Hitchcock is well known for his fascination for icy blondes and his representation of women on screen and the fates they suffer is a rich topic for discussion. This session will look at the evolution of the Hitchcock blonde from The Pleasure Garden (1927), culminating in Marnie (1964) with Hitchcock’s on and off-screen obsession with actress Tippi Hedren. 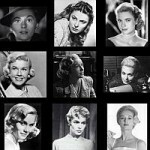 The blonde is often contrasted with the warm, sensual brunette and, of course, the subject of Hitchcock and women cannot ignore his representation of the mother, notably the ‘mother figure’ in Psycho! The influence of Alma Reville, Hitchcock’s talented wife, and the appearance of Patricia Hitchcock in her father’s films will also be considered. Everyone’s favourite pop-up cinematic café is back! This time it’s in the Great Hall at Thoresby College. Come along for an evening of stimulating film-focused conversation with like-minded people. Themes this year will include current trends in contemporary cinema and Top Tens as well as a review of the KLCCC year and, of course, wine (and juice!) will be flowing and there’ll be delicious nibbles and fascinating filmic projections. In June 2012 the documentary film “The Last Projectionist” was released in the UK. One of the issues this film discusses is the demise of 35mm film and the rise of digital, but also the remarkable renaissance of independent cinema. Guy Martin, Education Manager at Norwich’s Cinema City, will look at the impact of new digital technologies on the contemporary film industry and the changing nature of the audience. 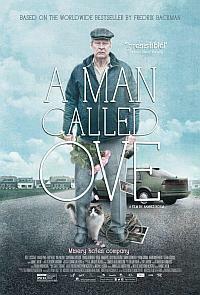 A chance to find out more about the Oscar-winning sensation of 2012. Discover the matinee idols of the silent era who inspired the characters of George Valentin, Peppy Miller and The Dog and explore the influences behind Michel Hazanavicius’ clever and playful film. What makes people in other European countries laugh? Is it very different from what we laugh at in the UK? By viewing clips from Italian, Spanish, German and French comedies, we’ll try to discover what tickles our fellow Europeans’ sense of humour. This popular session was given when we first started the Education Programme back in January 2011. Since then, many new members have joined the Club and we wanted to give you an opportunity to come along to this useful introductory session. Camera angle, lighting, mise-en-scene (costume, props), music, editing and so much more… This session will demonstrate, via a variety of film clips, how these vital elements combine together to produce a complex and dynamic whole and dictate the audience’s response to it. Reading visuals is similar to reading a text and once you have an understanding of the techniques film-makers use, your enjoyment of film will increase tenfold! Day School: Dickens on Film — A Celebration! Quirky characters, memorable lines, sinister cityscapes, romance, horror, the supernatural, mystery, melodrama and Christmas! This day school will explore the life, work and obsessions of one of our greatest writers whose work was adapted for the screen as far back as 1901. Jackie Coogan as Oliver? Lon Chaney as Fagin? Come and see all your favourite characters in surprising guises, muppets included!